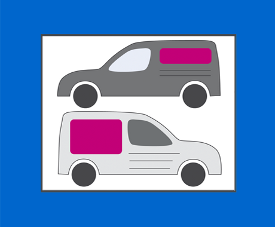 Often the best and most cost effective method of advertising is your vehicle. Whether it’s a complete vehicle wrap or magnetic graphics for the side doors we do the lot. We use high quality laminated vinyl with creative and eye-catching designs so you can be sure your vehicle will get noticed and will be a fitting mobile advertisement platform for your business. If it’s a corriboard sign for roadside promotion or a large sign with stand-off lettering we can do it all. We’ll show you an image of your building with the sign imposed on it so you know how it will look before we commence work, thereby giving you confidence that the sign we are about to make reflects your business and that will attract passing trade. We do all sizes, finishes and shapes. We can also arrange for lighting if necessary.